Sitting there thinking 'why isn't there a cool party I can go to that is guaranteed to have some fun straight-up Hip-Hop & Rap music all night' well I have just the solution for you. 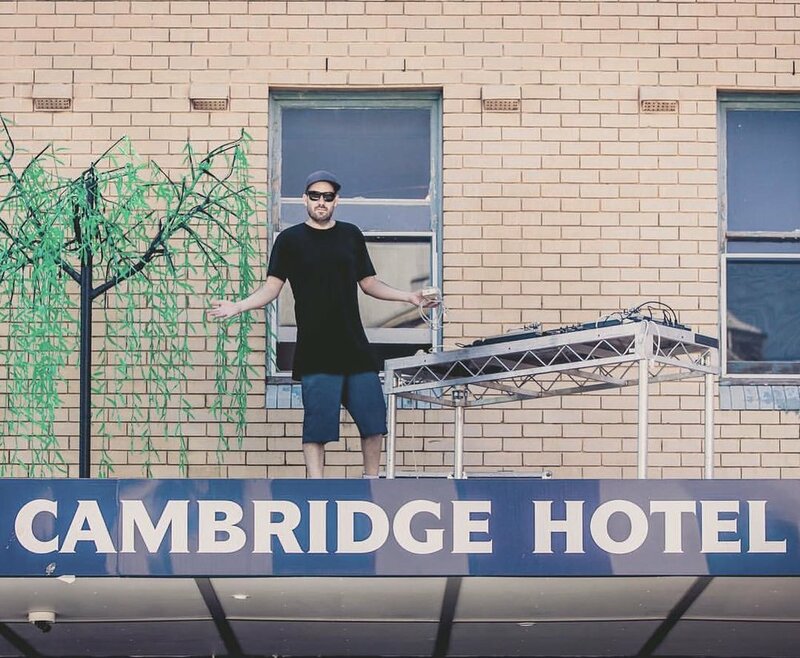 The Cambridge Hotel have just finished renovating the Cambo Courtyard and now it is time to throw down. An intimate event to turn up at. The kids said something about "Getting LIT" but I still don't know what that means? Anyways here are the details. NCL Party Club LAUNCH NIGHT. 100% HIP HOP & RAP TRACKS. ONCE A MONTH. RELAXED DRESS CODE. OPEN-AIR ROOM. LOCAL TRACK SELECTORS. 1/ INTIMATE HOUSE PARTY VIBES. Located in the Cambridge Hotel's newly renovated smoker's courtyard, it's intimate, open-air and prime for partying. Need we say more. We don't. 3/ RAP AND HIP HOP TRACKS ONLY. Nowhere else is throwing pure Hip Hop + Rap-parties at the moment in Newcastle. Listen to Yeezy, A$AP, Drake, Kendrick, J.Cole, Travis Scott, Vince Staples, Gucci etc. without the Top 40 interruption. 4/ JAYTEEHAZARD IS PLAYING AT THE LAUNCH. "Insert something here about Jaytee" Seriously, if you don't know about Jaytee Hazard, well, you are missing out on hearing a master at work. Not only has he produced some of the hottest tracks available locally in the electronic dance music scene he is some sort of evil genius behind a set of turntables. 5/ SUPPORT YOUR LOCAL PARTY. For the people, by the people. Support your local Party Club.